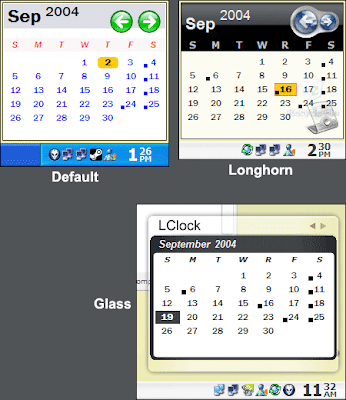 LClock is a very simple program that makes the Windows' clock look like a Windows Longhorn Clock. 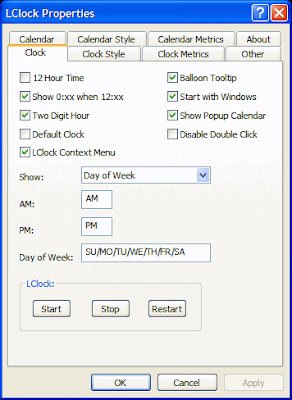 LClock also comes with a simple but configurable popup calendar that opens when the systray clock is clicked. No more double clicking on the clock just to view the calendar in the "Date and Time Properties" dialog box. All additional features were suggested by users of LClock.